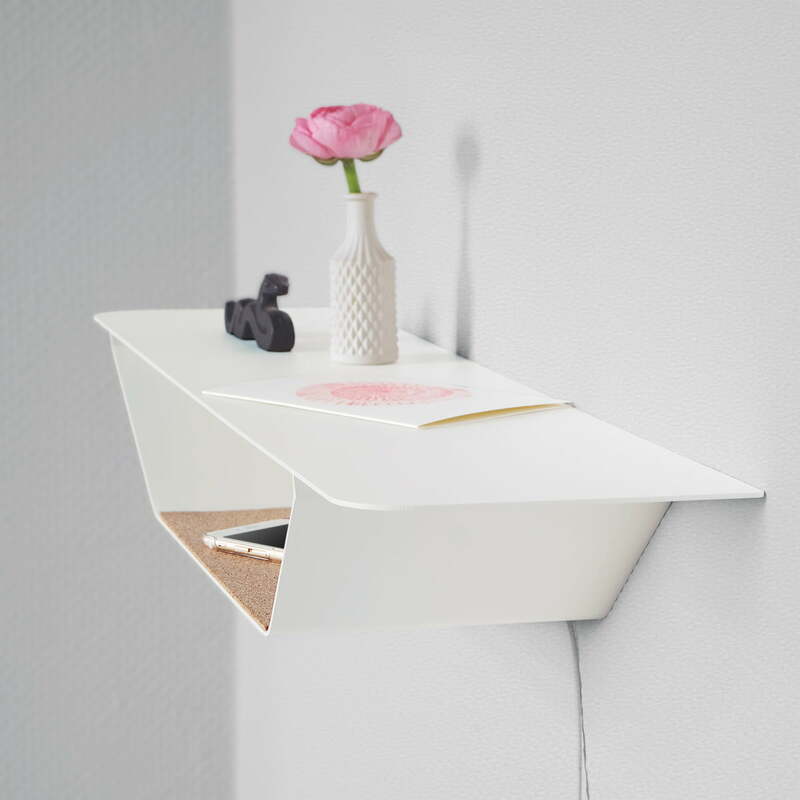 Ray is an elegant and practical wall shelf by the manufacturer vonbox, that provides space for items of everyday life. Placed at a suitable height in the hallway, it can serve as a surface on which to keep wallet, keys and smartphone. What makes it special? Thanks to a slot between the bottom shelf and the wall, the charging cables can be perfectly positioned. Smartphone are then quickly connected without having to worry about tangled cables. A supplied cork mat for the lower shelf not only provides a material contrast, but also offers a reliable grip and protection for items with particularly smooth surfaces, such as smartphones. Scratches from keys are also avoided on the shelf’s metal surface. 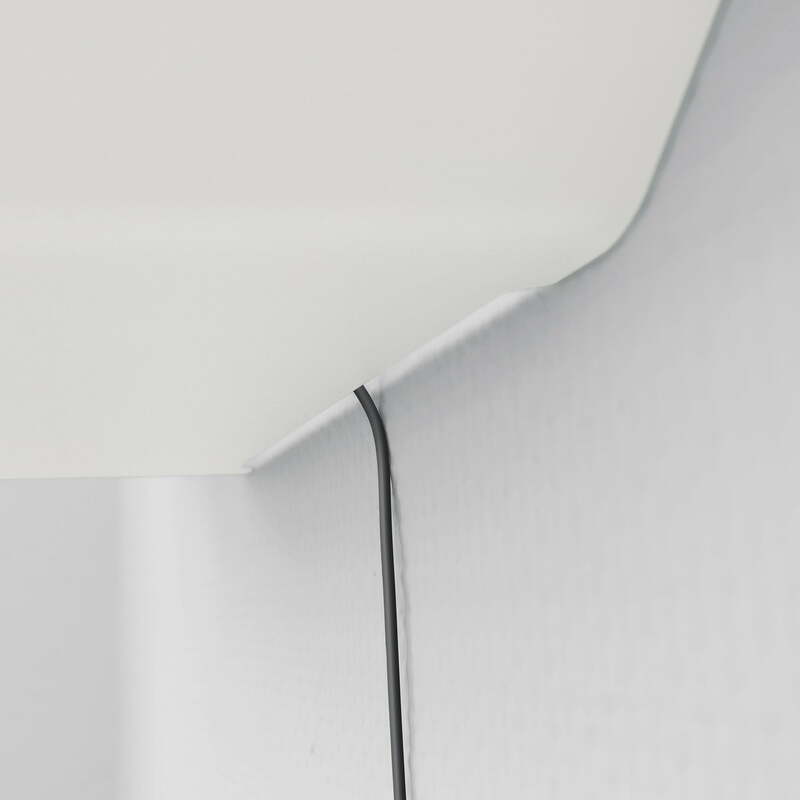 Because of its minimalist steel design, the shelf by Matthias Hartmann is discreetly integrated into any environment and can be personalised with plants and pictures. 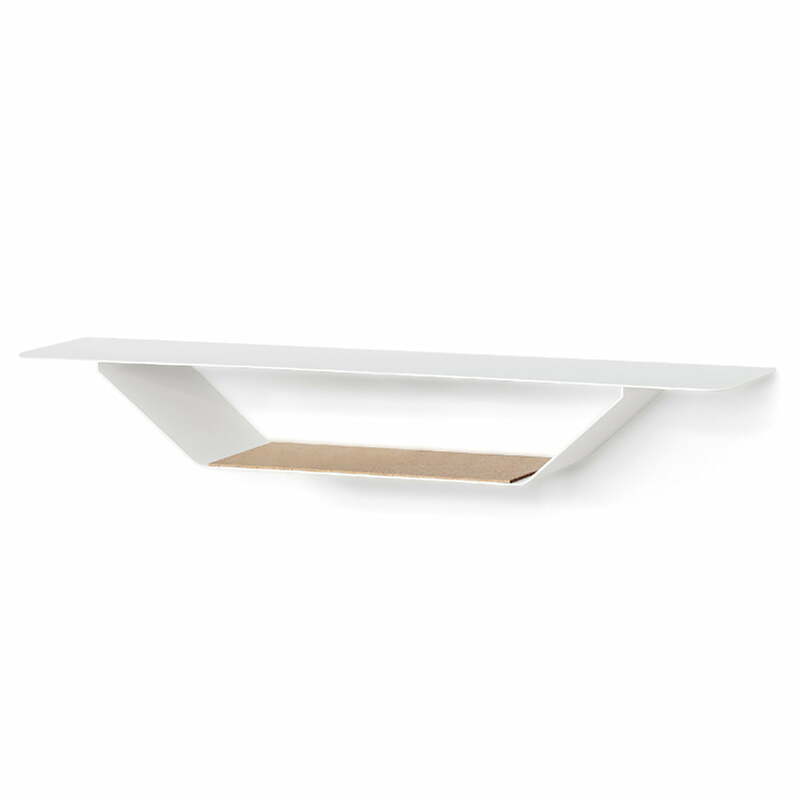 Isolated product imageof the vonbox - Ray shelf in white. 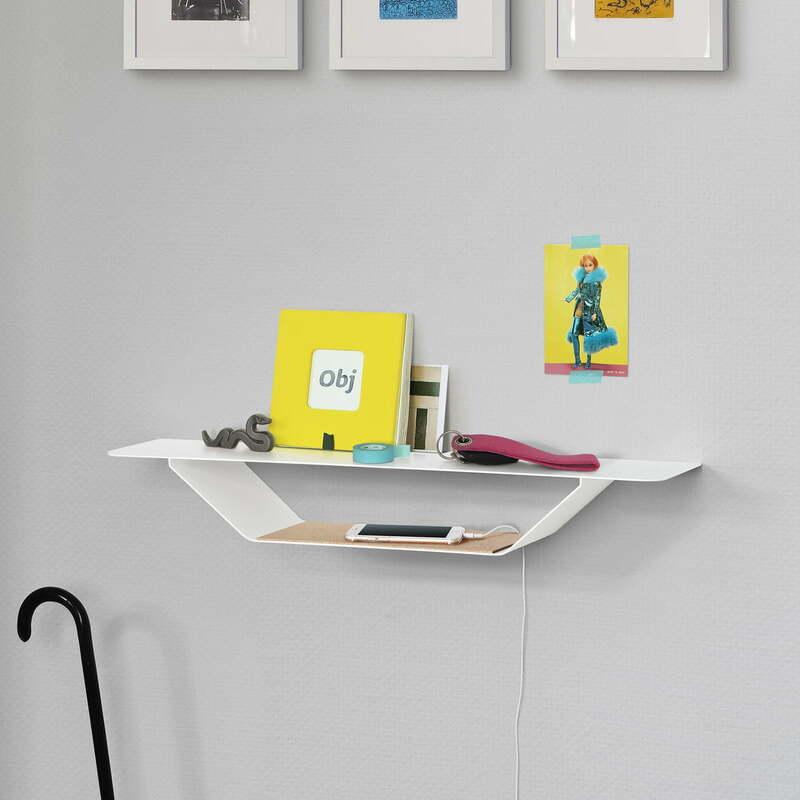 The minimalistic and elegant wall shelf is ideal to keep smartphone cables at hand in a discreet and tidy way. Detailed product image of the vonbox - RAY shelf. Thanks to a slot between the bottom shelf and the wall, the charging cables can be perfectly positioned. Lifestyle product image of the vonbox - RAY shelf. With individual decorative items, the wall shelf can be designed according to your personal taste and needs. Lifestyle product image of the vonbox - RAY shelf. Because of its minimalist steel design, the shelf by Matthias Hartmann is discreetly integrated into any environment and can be personalised with plants and pictures.